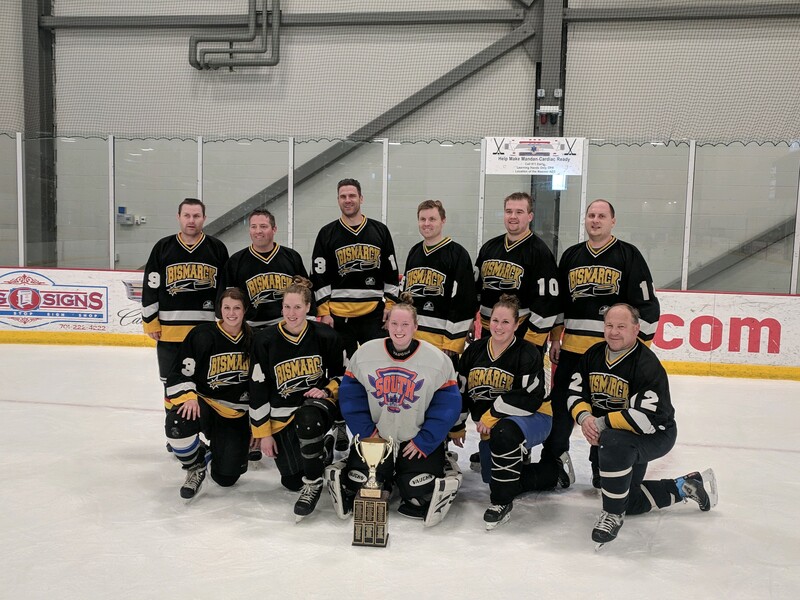 The Missouri River Adult Hockey League (MRAHL) is an amatuer hockey league operating in the Bismarck/Mandan area of North Dakota, USA. With a league coordinating committee to help steer the development of the organization, the league has grown from a few players in 1997 to thirteen teams making up two divisions. The league promotes fun, safe play in a no check style. Our ice time comes in two flavors - nightly pick-up games and organized league games. League players come in all ages and skill levels. Many of our MRAHL players have no prior organized hockey experience. You can pay online or your team manager at the rink. As a reminder, all player fees must be paid prior to the first game or you won't be allowed to play! **View the rest of the remaining games by choosing your league under schedules on the left nav. Congratulations to the Hoovies, the 2019 Dale Berreth Tournament champions! 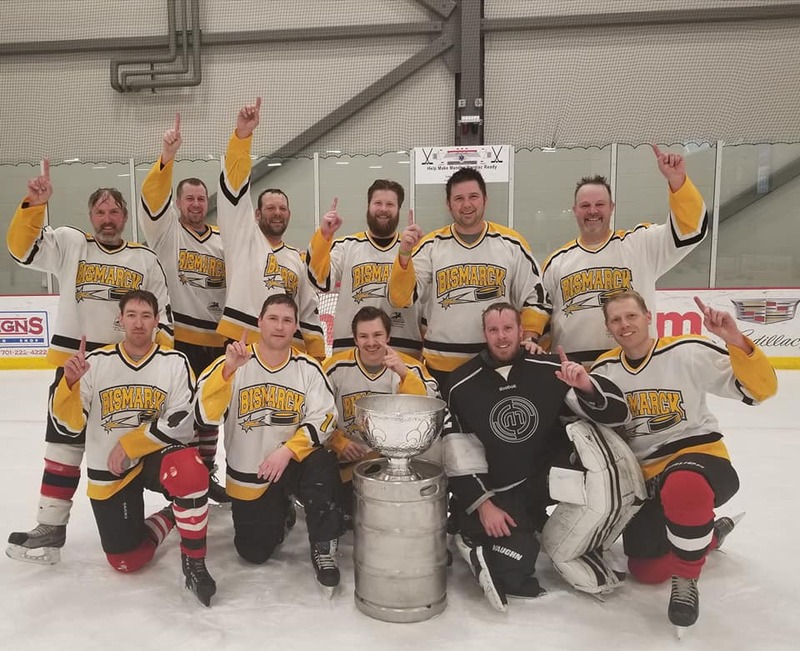 Congratulations to the Missouri River Walleyes, the 2018 Stenslie Cup Tournament champions!